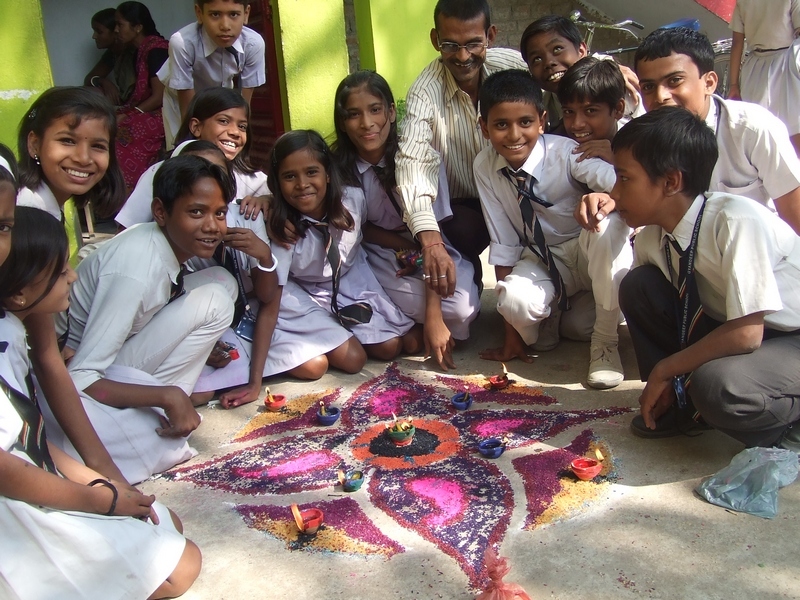 Tarumitra is a 22 year old students organization for environment active in over 2000 schools and colleges of the country. 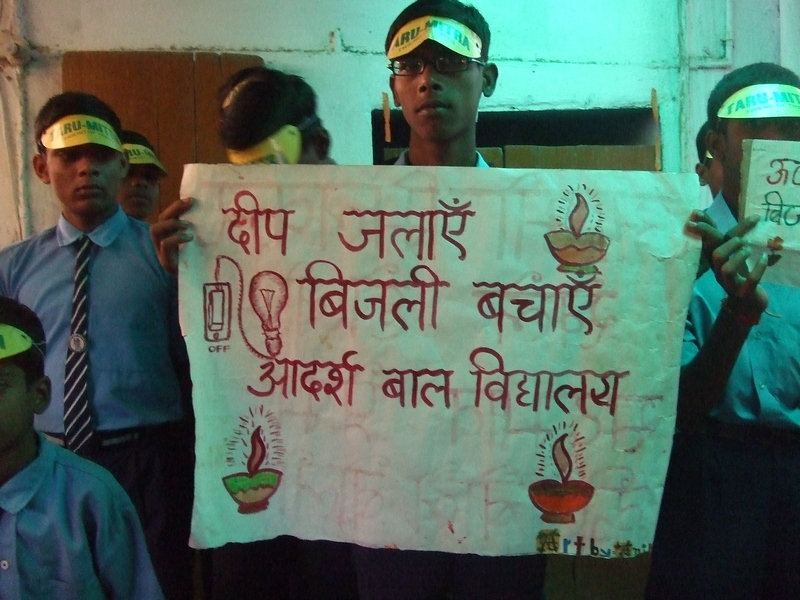 Led by the local Adarsh Vidyalaya school, this was the third rally in three days. 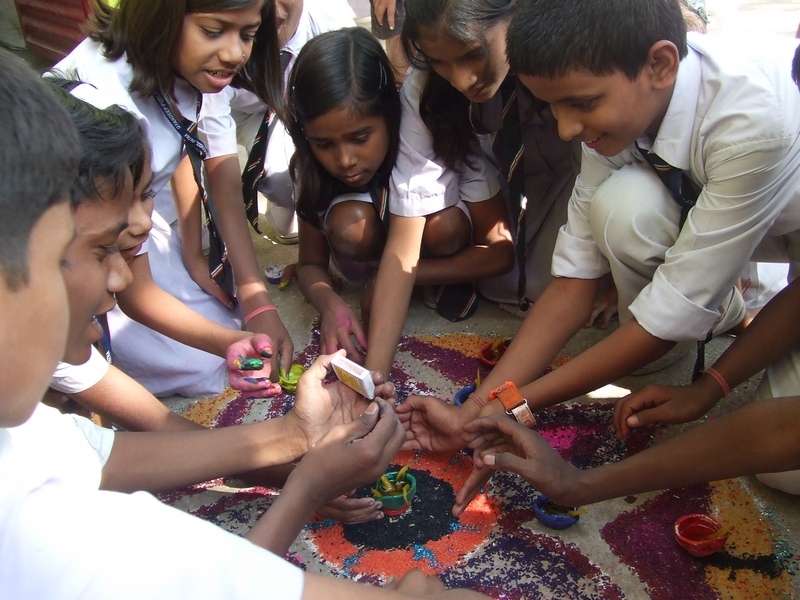 Tarumitra students plan to carry the campaign to different parts of the metro during the Puja time. They have also planned to conduct a survey of the festivities in the light of the ecological crisis. Quoting the scientists from Centre for Science and Environment (CSE) environmental activist and director of Adarsh Vidyalaya, Shailendra Dube said that saving 700 units of electricity was as good as protecting a fully grown 80 year old tree. Each of the Puja pandals (temporary festive shrines) use nothing less than 10,000 units during the 15 days of festivities. “This is as bad as cutting down 15 large trees” he said. 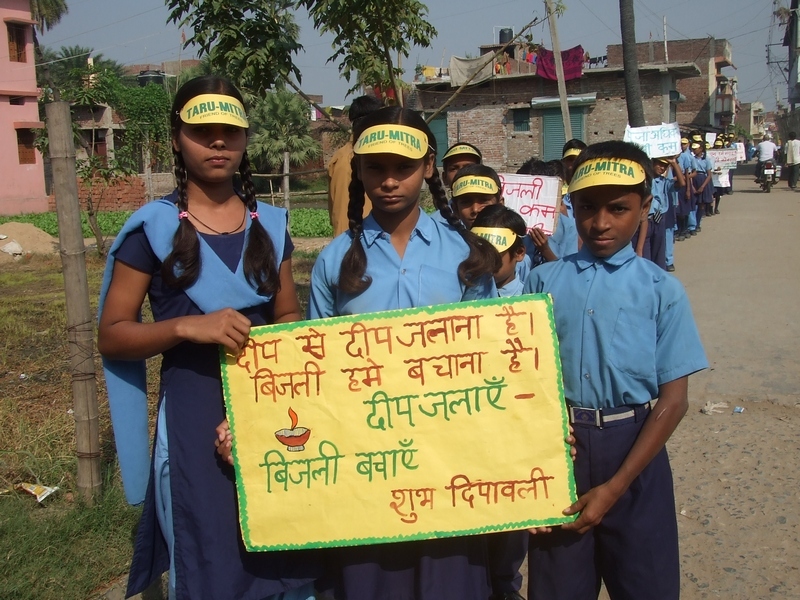 Burn wax diyas and not the polluting electric lights! An RTI activist Rajesh Kumar said that the governmental departments together cut down over 5000 trees in the crowded city of Patna during the last three years. The forest department has managed to plant less than a thousand in the meantime. It may be mentioned that the Archbishop of Patna, Most Rev. William D’Souza SJ wrote to whole diocese during last Christmas asking people not to indulge in electric illumination. He exhorted in the letter that large scale electric illumination was not an act of worship, rather a desecration of God’s Earth. Tarumitra students met the Archbishop and thanked him for his enlightening letter. Students of P.N Anglo high school, Gyandeep, Adarsh, Holy Cross, Kamala Nehru, Govt Middle and Madhavi Kala Niketan took part in the rallies to conserve energy. Present also were Sr. Carmen MCJ, Margaret Molomoo, Chiranjeev Kumar, Shailendra Dubey and D.N Prasad. This entry was posted in Tarumitra and tagged Pooja, Puja, Religious festivals, Saving electricity, Tarumitra. conservation of power on October 11, 2010 by tarumitra. What a lovely way of celebrating a Religious Festival in a modern age! I appreciate the creativity shown by the Tarumitra students. It is high time that we reviewed our polluting rituals and celebrations and opted for God-friendly, earth-friendly celebrations. Archbishop of Patna has shown the right path to the younger generation. We need more Gurus, Bishops, Maulavis, Bhantes and Granthis in our country.